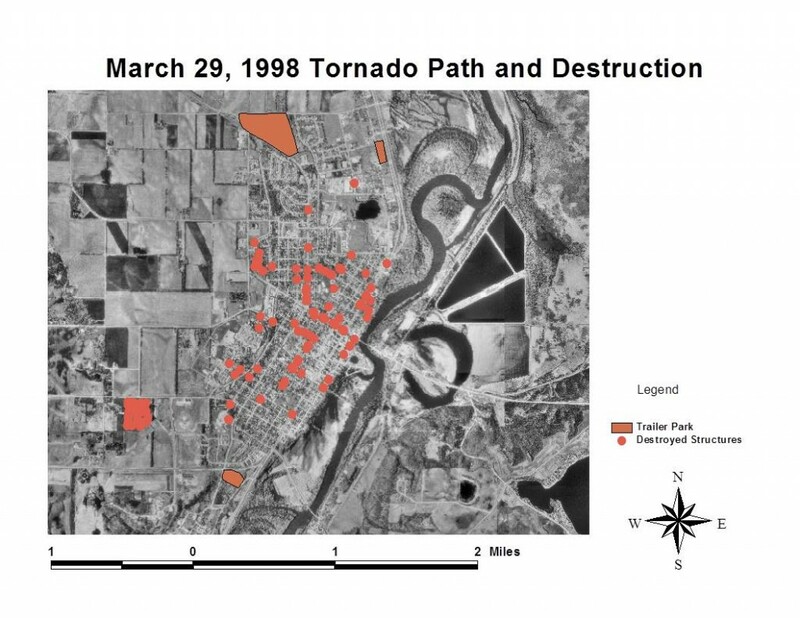 A F-3 tornado struck on March 29, 1998, killing a young boy and destroying over two hundred homes plus two historic schools, two historic churches, Gustavus’ oldest dormitory, and thousands of trees. Remarkably, the tornado spared the town’s three trailer parks, lessening the toll. Below is a map created in MapInfo by Gustavus geography students in one of Dr. Bjelland’s first Gustavus classes. Geography and Geology students helped the city map and assess the damage.